What self-advocacy skills should be learned by what age? How can we assess these functional skills? 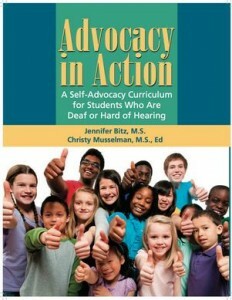 The Guide to Self-Advocacy Skill Development is a suggested sequence for students to attain self-advocacy skills from preschool through grade four, after which students should be able to repair communication breakdowns and advocate for their listening and learning needs appropriately. This hierarchy is a useful assessment tool as it provides age expectations for specific skills. The handout Using the Ida My World Counseling Tool with Children pairs communication expectations and psychosocial stages of development with age-related expectations for self-advocacy and suggests how the Ida My World Counseling Tool can be used in conjunction with other freely available checklists to foster conversations with children that will provide information about their challenges and self-advocacy skills. More information on this Tool is provided below. 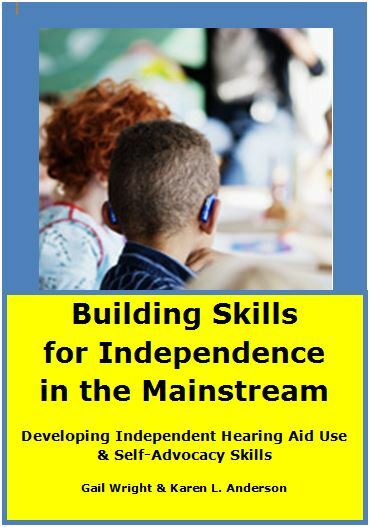 The Informal Inventory of Informal Inventory of Independence and Self-Advocacy Skills for Deaf-Hard of Hearing Students has questions related to independence, self-advocacy, peer interaction, community and also a section specifically for students who use an interpreter. The checklist results in a score that is related to a qualitative scale of independence and self-advocacy skills. The After LIFE questions of the Listening Inventory For Education – Revised suite of checklists is designed for students grade 3 and above (age 8+) to identify which strategies they use under 6 challenging situations. There are 22 positive strategies and 12 negative or neutral strategies. Progress can be monitored over time. 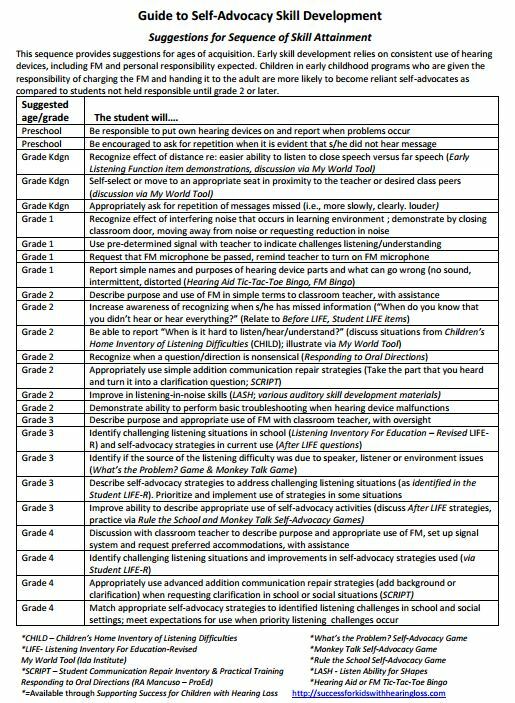 The second page of the Teacher LIFE (Teacher Checklist: Self-Advocacy and Instructional Access) can be used to obtain teacher input on the student’s level of independence and self-advocacy. What classroom adaptations and supports should be considered by the school team? Self Advocacy and Accommodations Supporting Access A helpful list of adaptations for Communication Access, Communication Interaction and Additional Supports for use during student planning at IEP and RtI meetings (available to Teacher Tools Members only). Supporting Self-Advocacy Skills in Children who are Deaf or Hard of Hearing A 2-page article directed to families from Minnesota Hands & Voices, May-June 2018 newsletter. 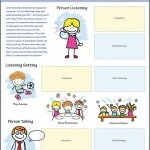 What are some materials to use to help children develop self-advocacy skills? View this one-hour YouTube video produced by high-school junior, Zina Jawadi, who has a moderate-severe hearing loss. The video is narrated by Zina and features her teachers speaking on how classroom teachers need to adapt and accommodate for the student with hearing loss. This very positive video is conveniently divided into 17 sections and the material provides an excellent outline for students to learn about the important points to get across to their teachers when self-advocating. It also provides an excellent role model for self-advocacy! Another great video comes from the Hampshire Regional Program in Massachusetts. True Deaf Kids Shining Bright in High School is a 14 minute video where four students talk about their hearing losses. 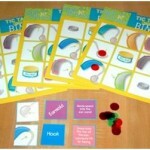 This game is recommended for practice listening to, and following directions in a fun way or to practice giving clear directions. A great activity to also practice communication repair skills if you cover your mouth, mumble or add noise that makes it challenging to understand the directions. Click here for a You Tube review and demonstration and click here for a written description regarding use for communication goals. How can we systematically develop expectations for independence with hearing devices? The SEAM for School Success (Student Expectations for Advocacy & Monitoring Listening and Hearing Technology) – The SEAM provides expectations for the level of independence a child should have with their hearing devices. It ranges from starting school (preschool or kindergarten) through high school. The student gradually takes on the responsibility for care and monitoring of hearing devices and also for assertively dealing with challenging listening situations. 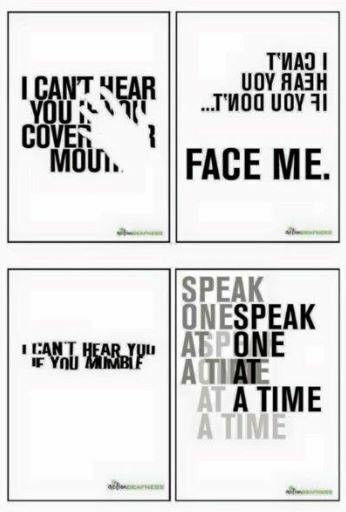 Below are materials that can be used to help students become more knowledgeable and independent with their hearing devices. These checklists contains skills that students should develop during elementary, middle and high school related to their hearing status. To complete the checklist, enter the date the topic is introduced and then track performance using the progress levels (1, 2, or 3). If the skill has not yet been introduced (NI) the item is included but does not receive a score. If the skill is not applicable for a student, note NA and eliminate that item in the overall scoring. 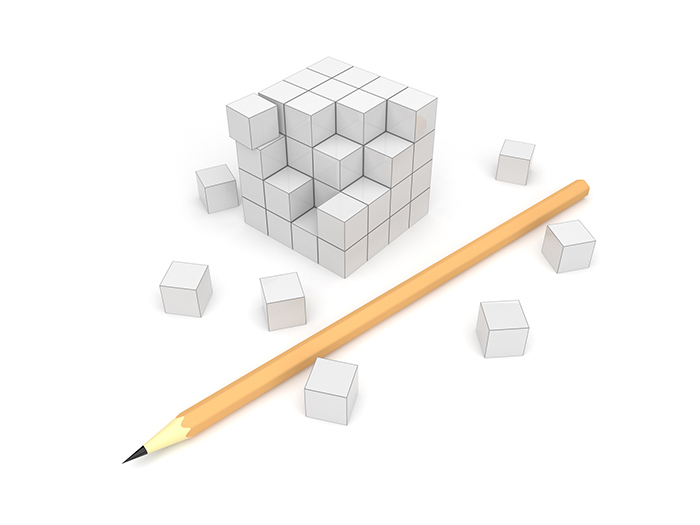 Specific skills that are being addressed may also be recorded as objectives on the student’s IEP. Skills should be re-evaluated at least annually. 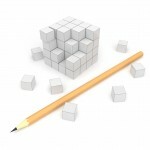 Follow the scoring directions at the bottom to obtain an overall performance level. A mastery level of 90-100% indicates the student’s audiology self-advocacy skills are functioning at the proficient level. If proficiency is not reached when the student transitions to middle school, work should continue on the deficient skills. A valuable resource for self-advocacy and ‘the hidden curriculum’ is How can we address self-advocacy and other areas of the expanded core curriculum in core content standards based IEPS? Iowa’s new Expanded Core Curriculum. 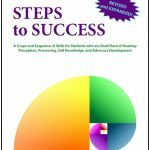 This is a wonderful resource for IFSP and IEP team members when developing educational plans for a student who is deaf or hard or hearing. This tool is designed for teachers of students who are deaf or hard of hearing and education audiologists to address these identified areas that are either not taught or require specific and direct teaching. Check out the 9 documents that comprise the Iowa ECC. The Minnesota Compensatory Skills Checklist and the Minnesota Social Skills Checklist are also helpful guides for professionals and parents as student skill areas and needs are considered. How can we find out about what students think about their hearing loss and hearing devices? Growing up with hearing loss isn’t always as easy as it is for children with typical hearing. How they feel about themselves can greatly affect their self-esteem and how willing they are to comfortably advocate for their communication needs. 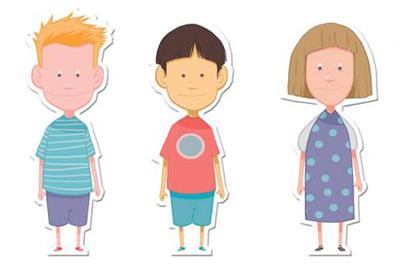 The My World tool developed by the Ida Institute is suggested as a way to help students explore their feelings and their challenging communication situations. The tool is game-like and can be downloaded free for color printing from the IdaInstitute.com website (you must sign up to be a part of the Ida community). FREE APP COMING SOON! It is also available to purchase from the Ida Institute in Denmark. There are boy and girl, man and woman people figures of different ethnicities. 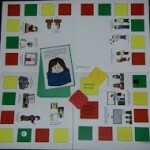 There are also four situation boards including outside community, outside home, classroom and inside home. Different furniture, recreational items and FM microphones allow the child to explain the particulars of his listening situation. 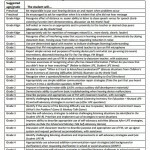 Refer to Using the Ida My World Counseling Tool with Children: Suggestions for Use at Different Stages of Development, a one-page handout that suggests how, when, and why the tool can be used. My World can be of great benefit to enhance student understanding and growth at different psychosocial stages of development and as an adjunct to administering the ELF, CHILD, LIFE-R, SAC-A and SOAC-A tests. Watch for more good things to come from the Ida Institute and use of My World. The second edition of this popular book is a 2012 e-version written by Kristina English, PhD, of the University of Akron. The materials in this workbook consist of 12 lessons, organized into four units with three evaluations and a summative learning activity. Thank you Kris! You can open each lesson individually by clicking on the Lesson link. Unit 1: Introduction – What Is Self-Advocacy? 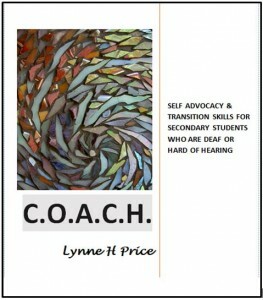 Lesson 1 Self-Advocacy: What Is It and Why Is It Important?